In its fifth season, Formula E is more thrilling than ever before. The six races held to date in 2018/2019 have seen six different winners, so the battle for the top spots in the drivers’ and teams’ classifications is particularly close. The seventh of the season’s 13 races this Saturday (April 13) in Rome again promises suspense galore – with best chances for Lucas di Grassi and Daniel Abt, the two drivers of the reigning teams’ champion, Audi Sport ABT Schaeffler. Lucas di Grassi experienced ups and downs in the first half of the season: In Mexico, the 34-year-old Brazilian spectacularly clinched his first victory this season on the final lap. In Hong Kong, he finished runner-up. Most recently, in Sanya (China), he was just about to take the lead of the standings, but then retired shortly before the end of the race due to a collision not of his own doing and went home without points. His teammate, Daniel Abt, in the first half of the season primarily impressed with his consistency: the German finished each of the six races held so far and scored points. In the drivers’ classification, di Grassi and Abt are currently ranked in positions five and seven. In the intermediate classification of the teams, Audi Sport ABT Schaeffler is currently in second position. “With the competition being so extremely close at the moment, we should still have every chance of success up until the season’s finale in July,” says Lucas di Grassi with unwavering optimism. 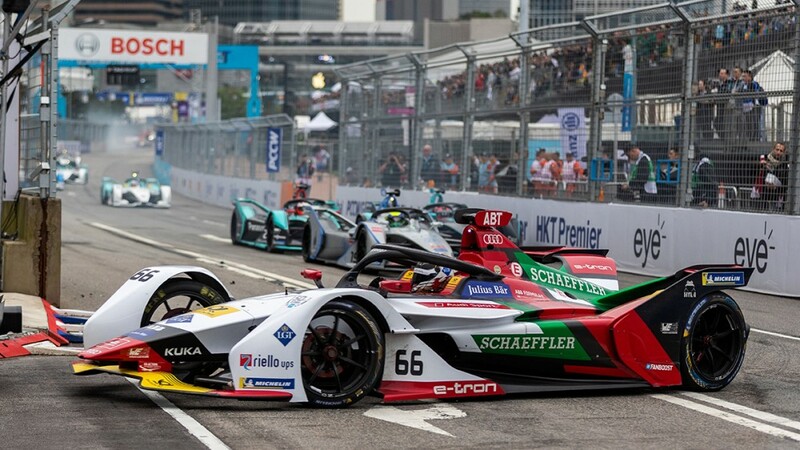 Following events in the Middle East, Africa, South and Central America, and Asia, the E-Prix in Rome will kick off the European season of the fully electric racing series. Formula E is visiting Italy’s capital for the second time after 2018. The race will be held on a challenging circuit in the southwestern part of the “Eternal City” that’s very popular with all the drivers.